Two students from St Stephen's were hanged 100 years ago. Why has the college forgotten them? Students and alumni of St Stephen's College rarely pass up a chance to talk about the 'high achievers' who graduated from the red-brick halls of the elite Delhi institution. That's why it's surprising that two Stephanians who played an important role in revolutionary national activities during the early 20th century seem to have been forgotten, or perhaps just ignored. In the current air of suspicion, control and censorship, it's hard for Stephanians to imagine a college that fosters free speech and political thought. But that's precisely what it was for two now-forgotten students. 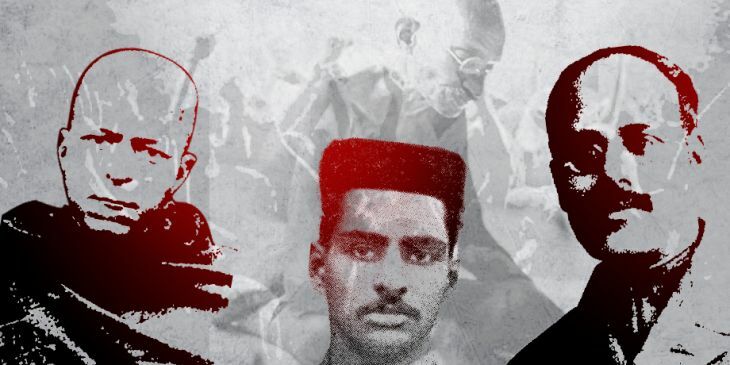 May 2015 marks 100 years of the execution of Amir Chand and Avadh Bihari, two Stephanians who were part of the famous Delhi Conspiracy case to assassinate the Viceroy, Lord Hardinge. When the British shifted their capital from Calcutta to Delhi in 1912, a ceremonial procession was held through the streets of Chandni Chowk. At the event, a bomb was hurled at the Viceroy's Howdah, injuring him and killing or wounding several bystanders. The attack made headlines across the world. Amir Chand, Avadh Bihari and a third co-conspirator, Basant Kumar Biswas, were arrested in February 1914 and executed on 8 May 1915 at Delhi Central Jail. It took another alumnus, Suhas Borker of the Jan Pahal Trust, to bring these names back into public consciousness a hundred years later at an event organised at Delhi's India International Centre this May. Borker - who graduated from the college in the '70s - had earlier researched and written about the lives of the two men in the college magazine The Stephanian in 1972. The stories of Chand and Bihari are ripe for nostalgic storytelling. Both studied at Stephen's, 20 years apart - Chand around 1885, later becoming a part-time student of History and English, and Bihari from 1905 to 1908, with a gold medal in Mathematics. Neither was well to do; both lived on stipends during college. Chand went on to teach at St. Stephen's Mission School, under the aegis of the Cambridge Mission, and later headed the Anglo-Sanskrit High School, which is today Daryaganj's Victoria Jubilee Senior Secondary School. He quickly became a prominent figure in political education, and found support in the Cambridge Mission, which protected him from government suspicion. He was actively involved in social reform movements, and his actions and affiliations became more political after the Partition of Bengal in 1905 and the subsequent Swadeshi and boycott movements. The government's increasing repression of the 'natives' turned Chand into a vocal critic of the colonisers and he set up a revolutionary party in Delhi in alliance with Lala Har Dayal - who would later go to the United States and start the Ghadar Party. Avadh Bihari, 20 years younger than Chand, also taught at Anglo-Sanskrit High School, eventually growing closer to Chand. The time during which Bihari was in Stephen's is particularly interesting as, by 1908, students were immersed in a huge wave of nationalist excitement. The Durbar of 1911 incited anger against the opulence of the British and the college was an active part of the pushback. In fact, on the day of their eventual execution, when Bihari was asked his last wish, he replied, "The end of British imperialism. I wish the fire to spread all around. You should burn, I should burn and so should our slavery, leaving behind the pure gold of India." Interestingly, in the face of orders such as the Risley document of 1907 - which forbade political conversations from taking place in government-funded organisations - St Stephen's actively encouraged students to be political. According to Borker, a report by the Principal at the time stated "I suppose there is not a student in college who is not to some extent against the government, and certainly no student who is not Swadeshi." During their time in jail, they were actively supported by their alma mater; Amir Chand was in fact defended in court by Samuel Scott Allnutt, founder of St Stephen's, and after whom the Allnutt hostels are named. Given this, it's curious that in recent decades the college administration has largely ignored the story of these two men. While they certainly belong to the larger historical narrative, within the college's history - a history usually exalted and spoken of in hushed tones at morning assemblies - they go unmentioned. Today, all that remains of them is a memorial stone at the site of Delhi Central Jail, now the Maulana Azad Medical College - and the occasional reprint of Borker's 1972 article about the two men in commemorative issues of The Stephanian. 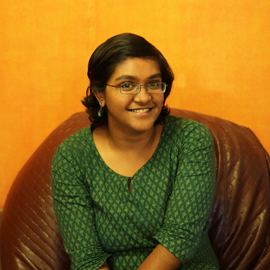 After studying to be an archaeologist at JNU, Shobhna worked in travel publishing before joining Catch as a sub-editor. When not arguing over en and em dashes, you'll find her raving about her new favourite album, drinking copious amounts of coffee or ganna ras and struggling to come up with witty tweets.